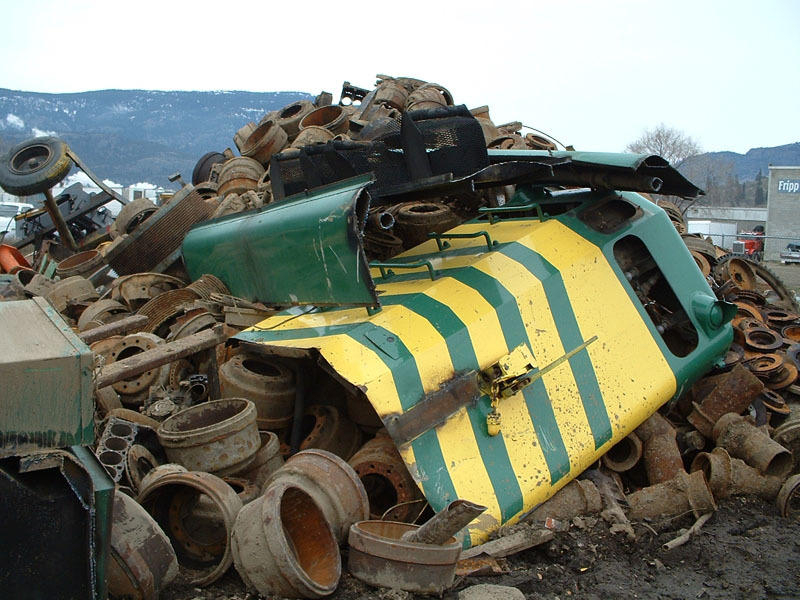 CP turned over their operation to OmniTRAX. 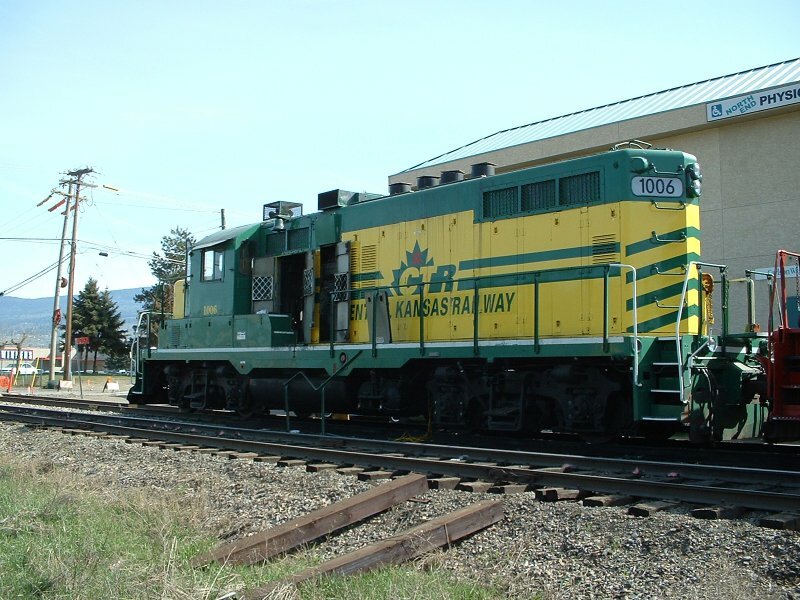 The first Okanagan Valley Railway train into Kelowna was on November 24, 1998. Using former I.C. GP-10's. 1064 1049 1038. 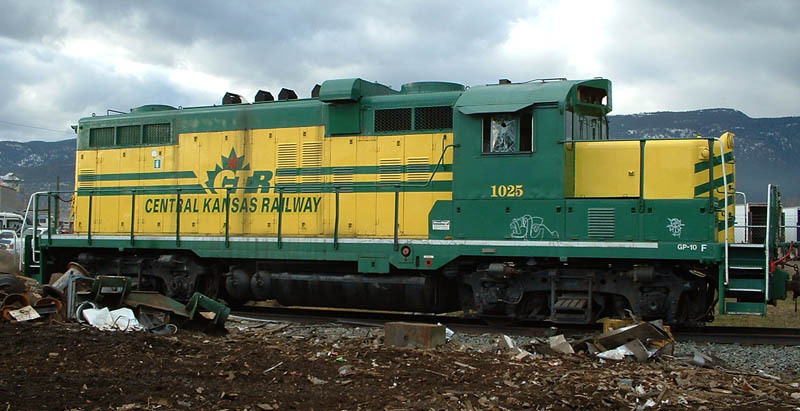 In Dec. 1999, 1038 1049 and 1064 were sent to the CKRY in Kansas and replaced with former C.N. M-420[W]s 3557 3558 still in C.N. paint. 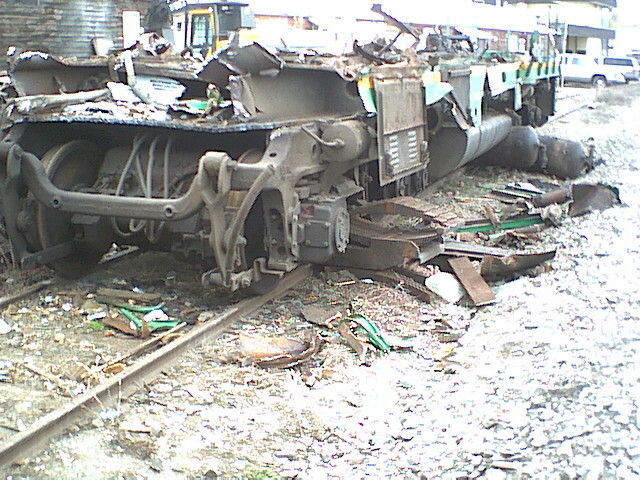 Early March 2001, these units were wrecked in a collision with a loaded runaway tank car. OVR leased two CN GP38-2's #4700, 4718 until replacement units arrived. 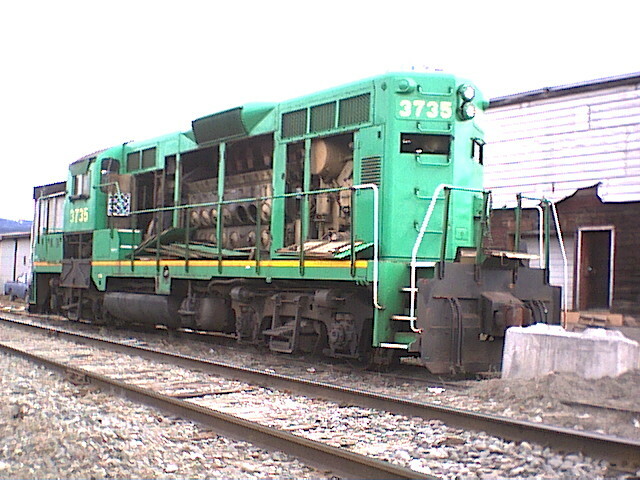 Above, 3558 was wrecked beyond repair and has since been stripped of all useful parts. 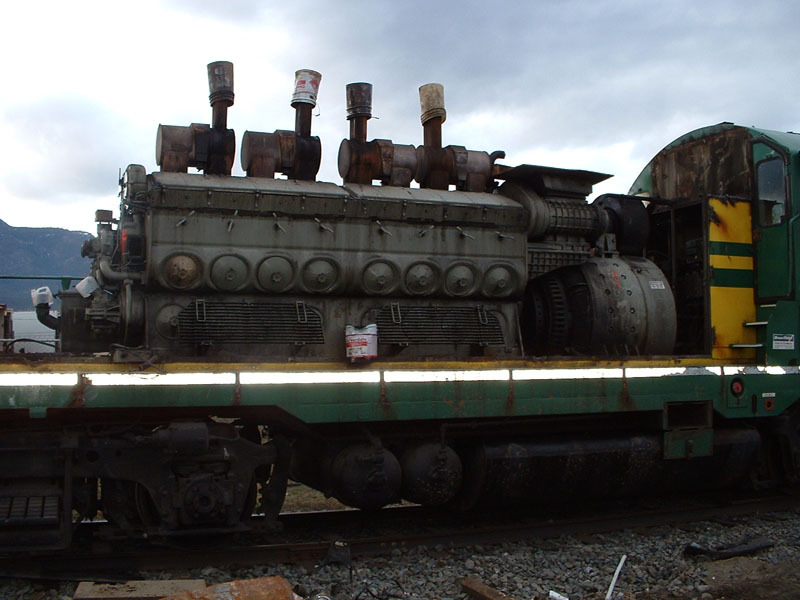 3557 was sent to the Carton Trail Railway in Prince Albert, Saskatchewan, for parts removal. Here is a summary of the damage to 3558. 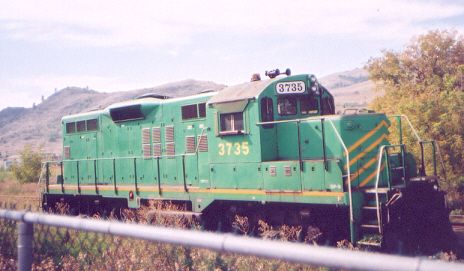 NBSR 3735 was sent here as a replacement unit. Upon arrival it was determined the unit was not operable. 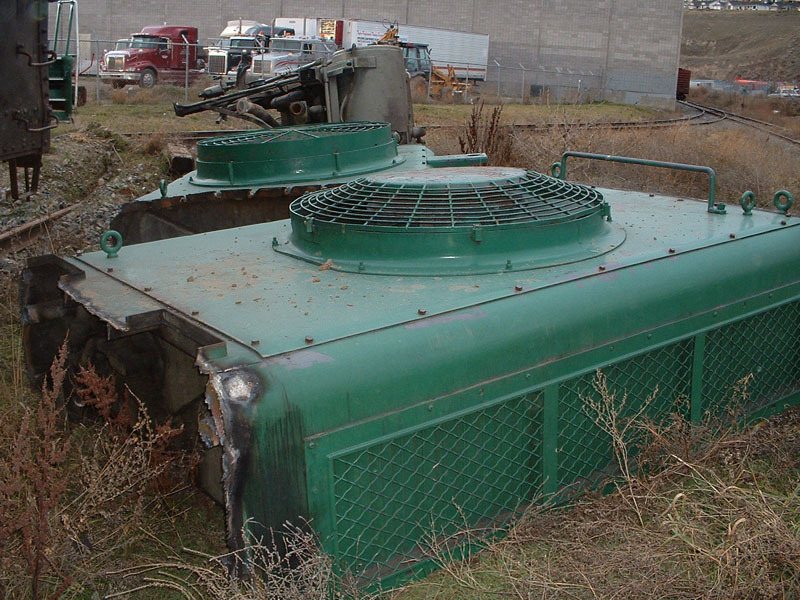 This unit was delivered to Action Metal in Kelowna on March 4, 2003. 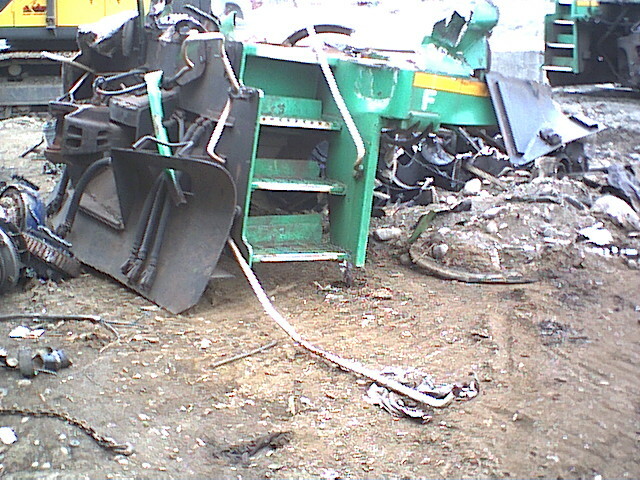 Scrapping was finished March 30, 2003. 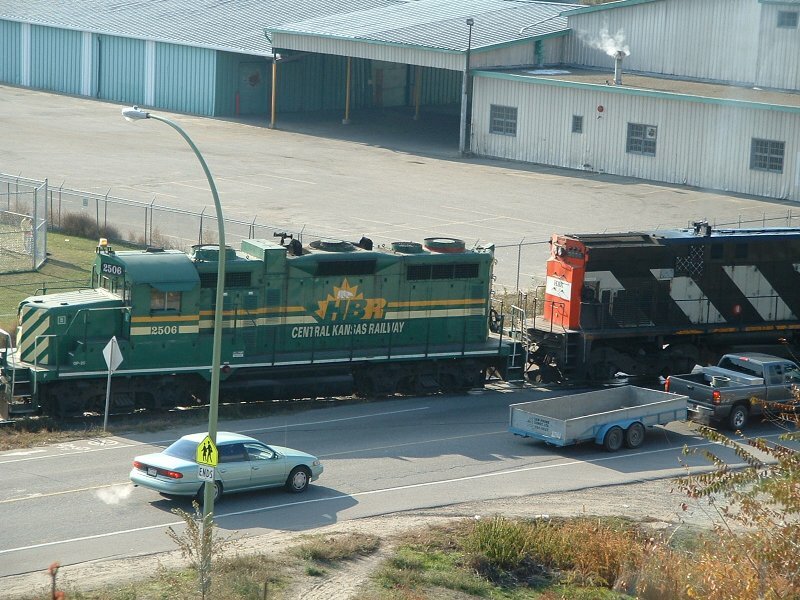 On Oct.18,2001 HBRY GP-20 2506 and CTRW GP-10 1025, still lettered in Central Kansas Railway, arrived in Kelowna. 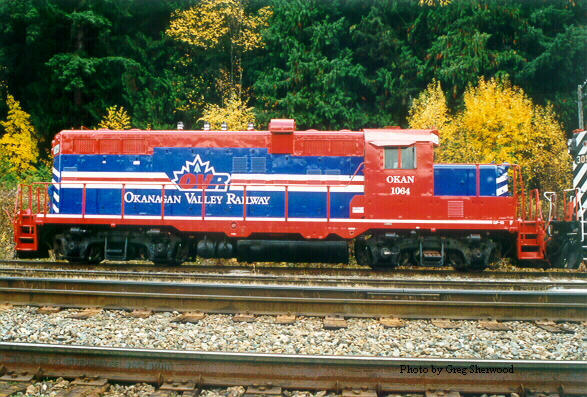 November 28, 2001: OVR GP-10 1049 returned to service in the Okanagan. 1049 did not last a year before failing. 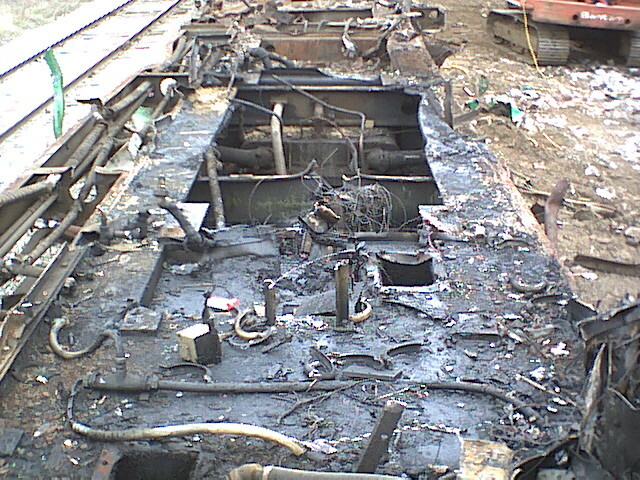 1025 suffered damage around April 20, 2003. 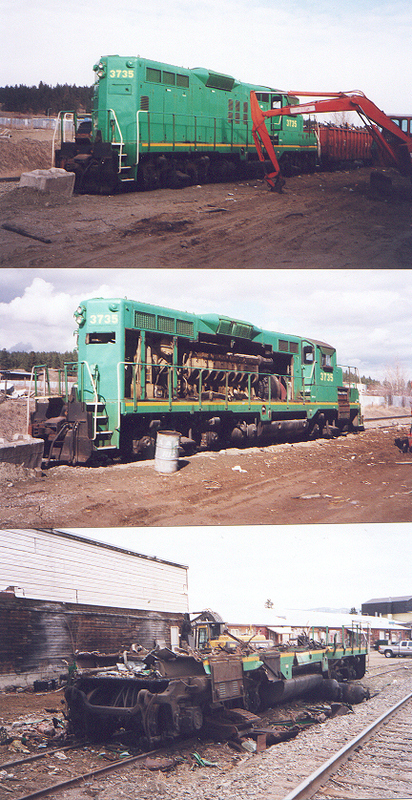 May 1, 2003, HBR MLW-420 3550 made its first trip to Kelowna. CKRY which was part of OmniTRAX, has been sold to WATCO as of June 1, 2001. 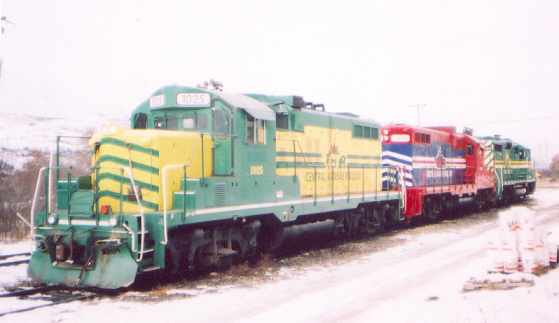 Late December 2001, OVR's fleet, Carton Trail Railway (CKRY) GP-10 1025, Okanagan Valley Railway (CKRY) GP-10 1049 and Hudson Bay Railway (CKRY) GP-20 2506, parked outside the OVR office. HBRY 3550, which is the replacement for CKRY 1025. First trip to Kelowna was May 1, 2003. 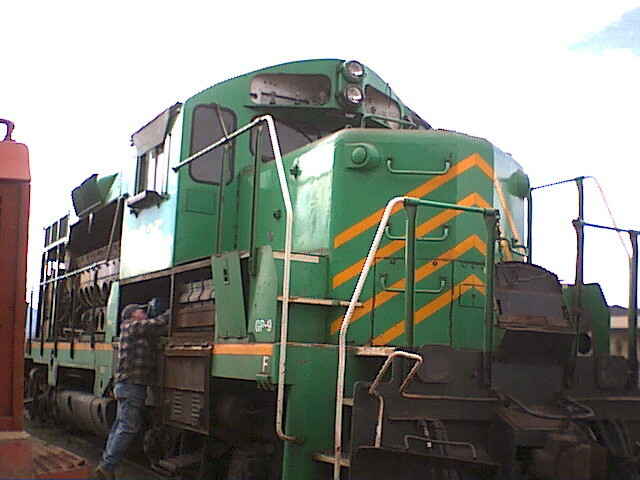 One of probably only two GP-20's in Canada, at mile 118, Nov. 6, 2003. CKRY 2506. 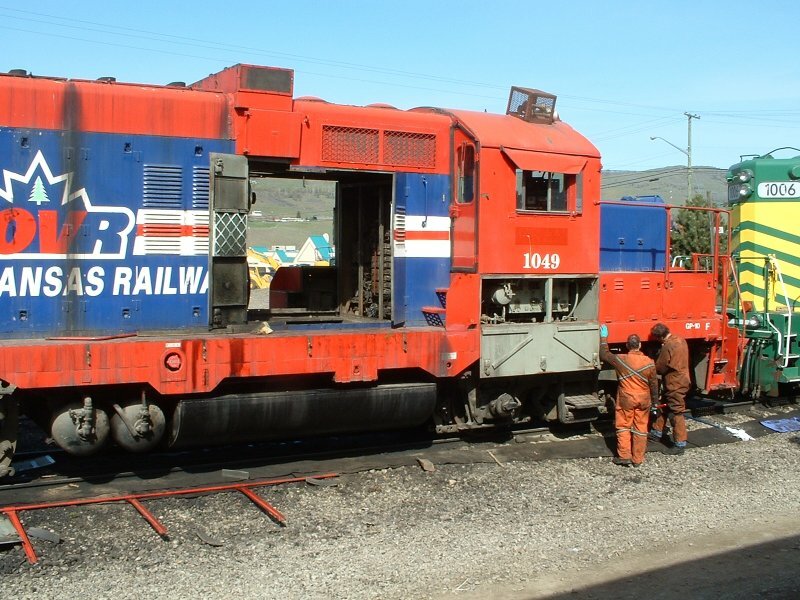 In late March, 2004, CRKY 1006 arrived as a backup unit, with a defective generator. Pictures below were taken April 10, 2004, Vernon, BC. GP-10: Main generator replacement. 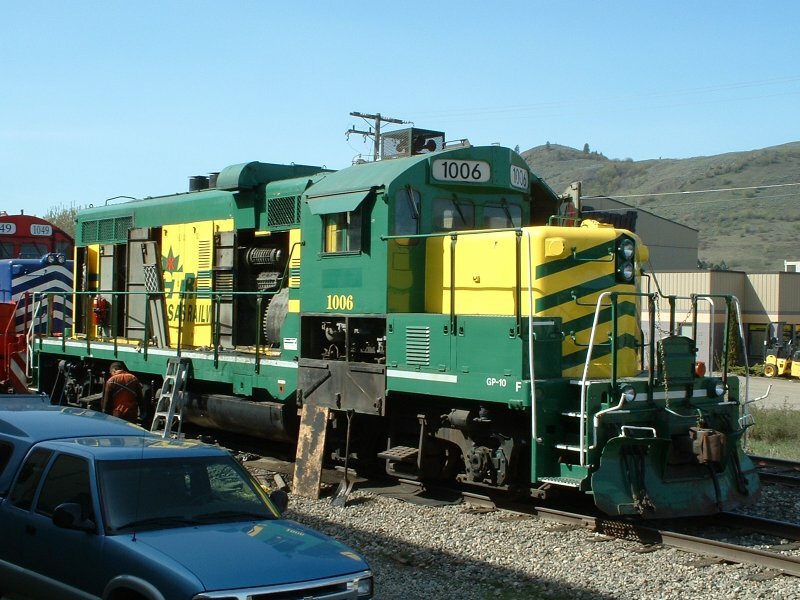 1006's first job was on a work train for a major tie replacement from Vernon to Sicamous, to upgrade the track. Traffic had increased substantially over the past few years. 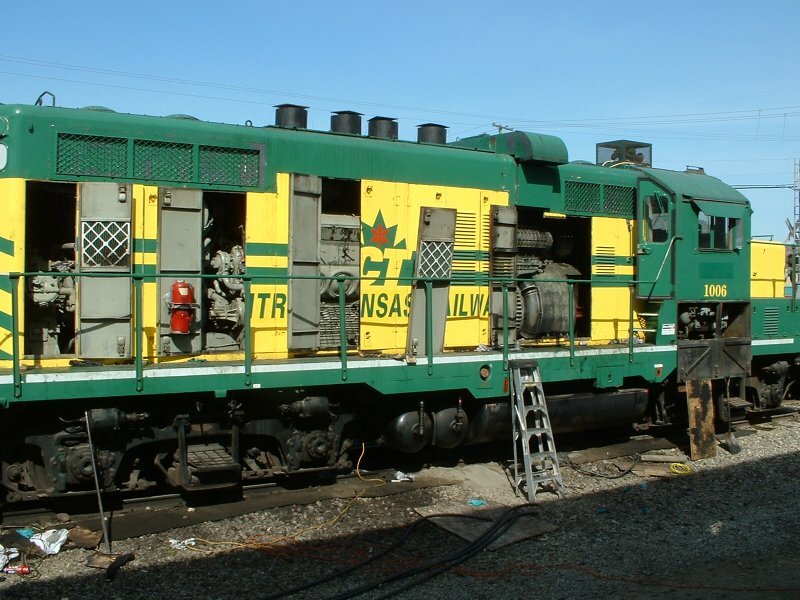 1049 has 'donated' its generator. This unit had not run for more than a year. 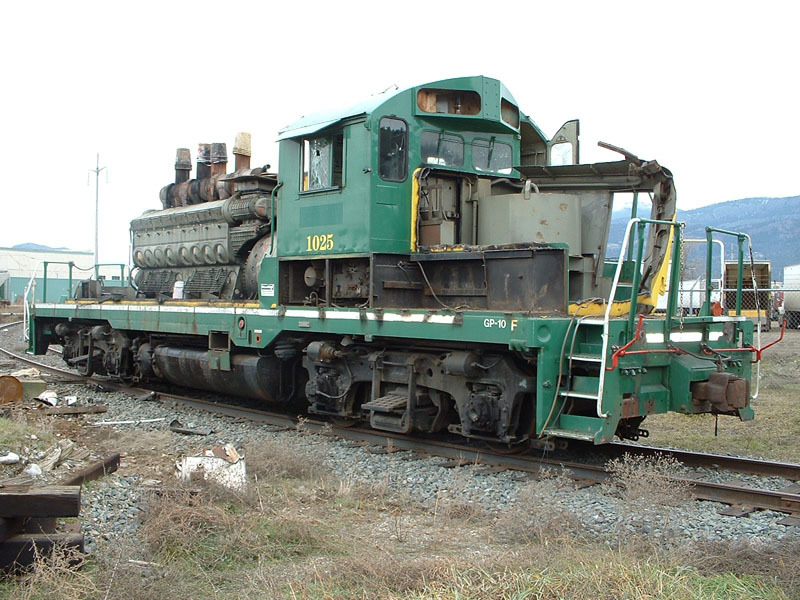 In May 2005, it was scrapped in Kelowna. May 6, 2009 — OVR lost its main customer, Owens-Corning Glass Plant, in Lavington, on October 31, 2008. With 50% of its business lost, OVR sent back GP-20 2506 to The Pas, Manitoba. CKRY 2506's exhaust stacks capped. This leaves the OVR with GP-10 1006 & M-420 3550. Final two engines, CKRY 1006 and HBR 3550 have their shipping instructions posted in their windows. Shipping intstructions for CKRY 1006 and HBR 3550. 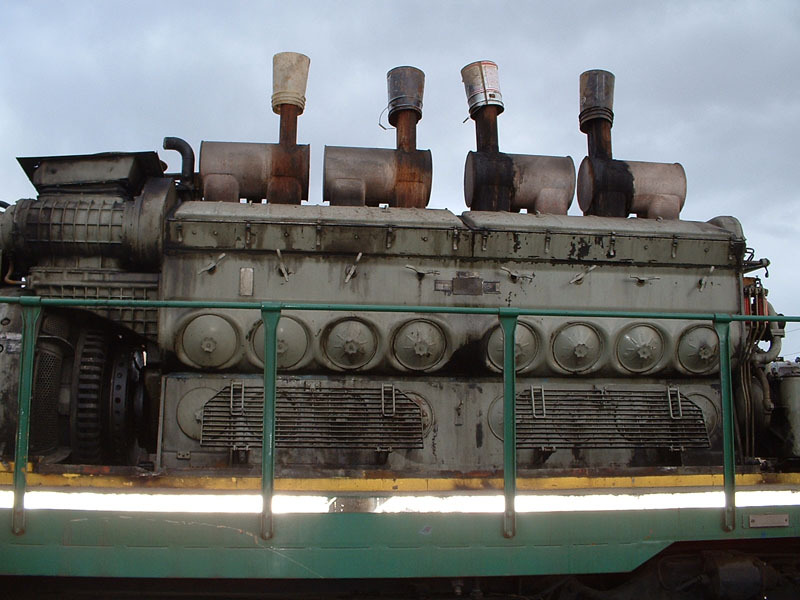 Both engines left November 19th, 2009. The OVR office was cleaned out the week of the 21st of September, and had a “For Lease” sign in the window. Now we wait to see what happens with the line. Businesses in Grindrod and Enderby want the line to remain open. December 1956 - March 2003. From delivery to Action Metal in Kelowna, March 4, 2003, to the frame on March 30, 2003. 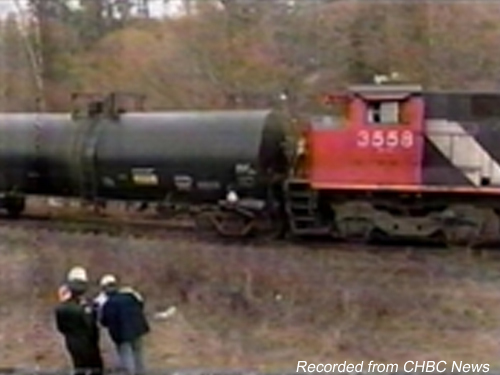 The end of New Brunswick Southern, GP-9. The unit was returned from NBSR and was supposed to be in operable condition. This was not the case. Here is a sampling of the problems found. The following pictures show the different stages of disassembly over the next weeks. Track in the foreground terminates in the yard at Kelowna. Action Metal employee removing parts. 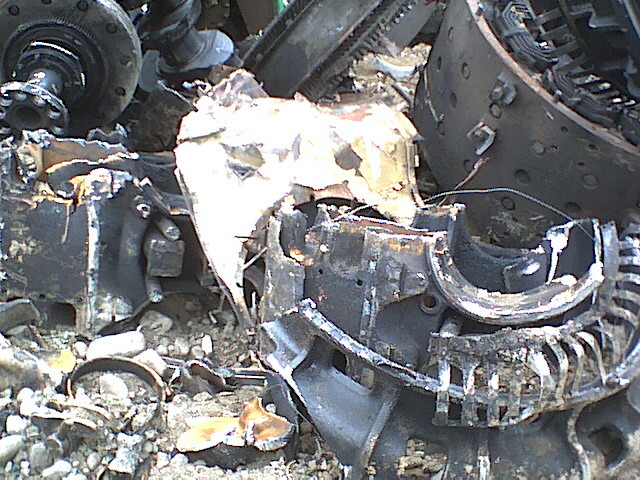 Parts of main generator and engine. Another view of the frame. December 1957 - Feburary 2005.
until the week of Feburary 1, 2005. Feburary 1, 2005, work starts. Engine is going to be saved. Cooling assemblies, fans and air compressor saved. Exhaust caps and end of the CKRY 1025. December 1956 - May 2005. From delivery to Knox Mtn. Metal in Kelowna, March 17, 2005, to the cut up frame on May 25, 2005. GP-10 CKRY Ex OKAN 1049, the only unit in Okanagan Valley Railway paint that returned to the valley after going to CKRY, had not run for a couple years. Mar. 31, 2005, engine on frame. 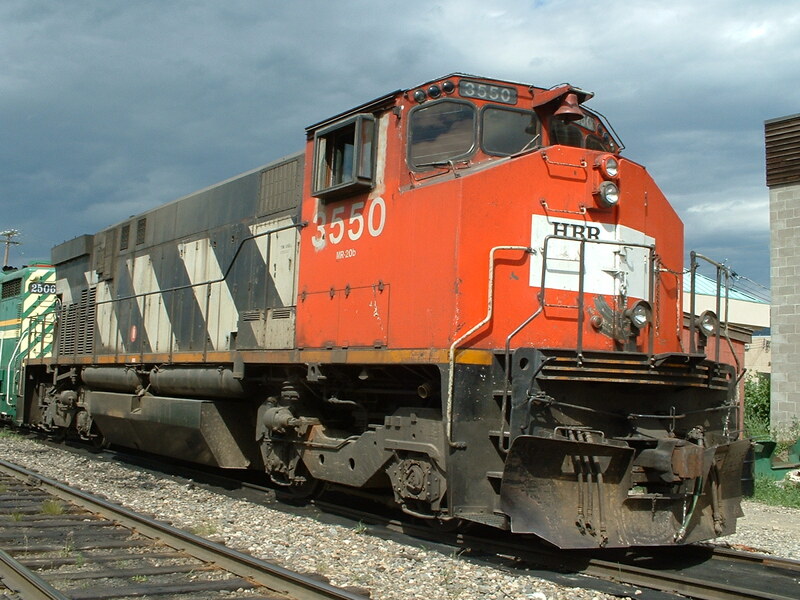 CP caboose 434683, which had been owned by KPR, had never been used and was delivered to Action Metal in March, 2005. In early May, Caramoomel bought it as their gift shop. Set on a length of track. Nothing was done to the caboose for more than 4 years. 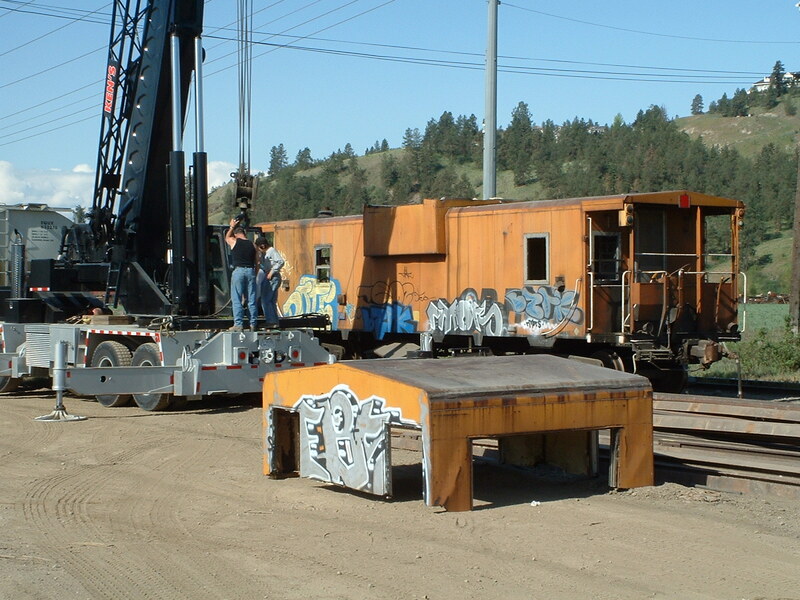 On November 27, 2009, the caboose was donated to the KVR in Summerland. 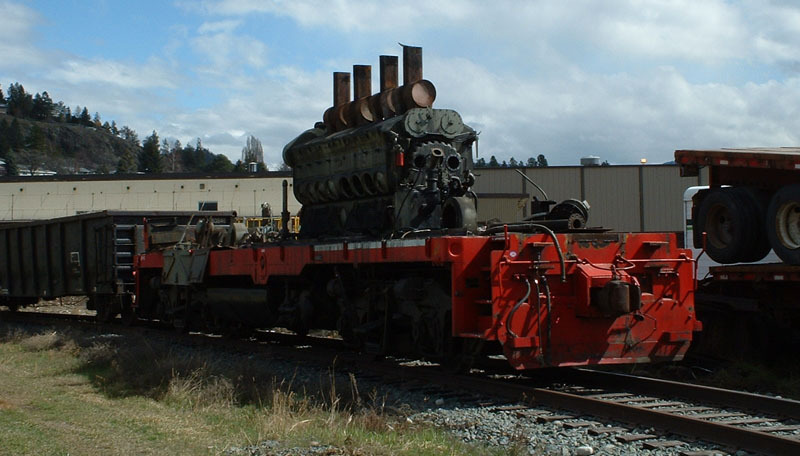 Since the caboose was surplus to the KVR's needs, it was sold to a gentleman on Galiano Island. 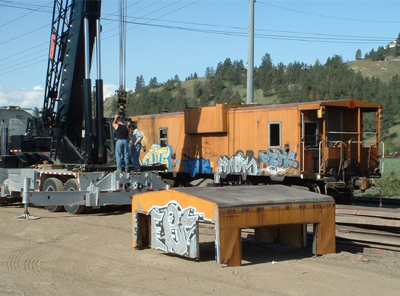 September 2, 2014—the caboose was loaded on to flatbed trucks and left the valley. With a 50' piece of track installed on-site, the caboose delivery and re-assembly was completed November 25, 2014.